Our club is equipped with purely military radio equipment of the Swiss Air Force (AF). This material comes from our friend and honorary member Kurt Ernst, former AF instructor at Payerne Air Base. Kurt has never said much about that he bequeathed us this material, saved through the years of garbage and scrap merchants. 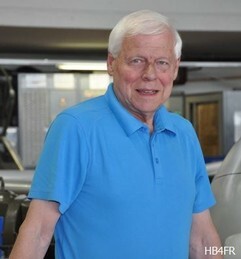 Kurt Ernst was an instructor in electronics on the radio devices of our military aircraft. With the decommissioning respectively the revaluation of aircraft, he saw the old equipment disappear into cellars and depots. Fortunately, our friend had quickly understood that it was necessary to avoid this equipment disappearing forever. Aware that without the radio, there would never have been a modern aviation, neither civilian nor military, Kurt had started by collecting items of these devices, so that one day they could "tell" our descendants and interested people the development of radio technology in our air force: It was simply a smart and clever foresight! But our friend Kurt had also realized that only keeping the equipment was not enough. It was also necessary to preserve the technical knowledge on these gems of technology. During long winter evenings at home, not only a meticulous documentation emerged little by little, but many items were cleaned and refurbished by him in his spacious garage, so that they were again presentable. One day came the great upheavals caused by the "Army 95" program. Suddenly, the long-time users of the military airfield infrastructure were no longer the masters of the place. He had to vacate premises and stores. The garage of our friend Kurt being not big enough to contain the accumulated material, and the latter not really his property, he was worried. At this time, Kurt contacted our president Herbert, HB9BOU, chief of the Air Base Radar Maintenance. Herbert knew that after the Hunter was retired in 1994, former pilots gathered in the « La cinquième escadrille », had the desire to save a Hunter from demolition. During the year 1995, thanks to the support of the Air Force and the Military Department of the Canton of Vaud, their association got the Hawker Hunter MK-58, J-4078, in perfect condition. Also, the idea of creating a museum of military aviation in Payerne had come. With the cooperation of HB9BOU, the gathered items and reworked by Kurt were moved "into a safe places" to await the construction of a museum. On April 25, 2003, the "Clin d'Ailes" museum was inaugurated - without any radio device on display! It was necessary to wait for the big event "Operation ARRIS-GYB" organized by the amateur radio group HB9FR in 2006, under the leadership of Herbert, HB9BOU, in the museum and the aula of the Gymnase Intercantonal de la Broye (GYB), in Payerne. During the preparation of this event, our friend and honorary member of the Club, Raymond Luisie,r drew our attention to the fact that there was no exhibition in the museum, highlighting the significance of radio for modern aviation. It was therefore absolutely necessary to realize this exhibition. 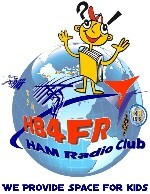 On 2nd decembre 2006, the « HB4FR ‚Clin d’Ailes‘ Swiss Air Force Museum HAM Radio Club » was founded. One of the founding members: precisely our friend Kurt Ernst - and with him his precious collection! We owe a big thank you to Kurt Ernst for saving this radio material and for making it available to HB4FR for display in the Military Aviation Museum « Clin d’Ailes ». Among a good forty devices, a real gem is included: the first radio station installed in a plane of our military aviation. It is the radio station FG-I (Funkgerät I), a long wave receiver-transmitter. HB9BOI - Michel, HB9DBB - Jean-Michel, HB9TNA - Fritz and HB9TYR - Renato, Club members, also helped to expand our collections. Raymond, HB9DMN, also member of the club, regularly puts us devices from his magnificent private collection of historic radios on display. A touch screen serves as an information terminal for visitors who wish to learn more about the devices on display. As an example, below are the technical datas of the FG-I as they are visible on the touch screen. Come and see us at the museum to see what devices are currently on display and to discover their history. first on-board radio operated by the Swiss Air Force !!! Operated by the observer by transmitting letter groups in morse code to the ground station. Shortly afterwards phone operation was also used. The DC generator was mounted on the wing or on the landing gear. The adjustable propeller (centrifugal-regulating) allowed a constant speed of 4800 rpm. This circuit made it possible to lower and smooth the 1500 VDC of the anode voltage of the transmitter by means of a chain of resistors at 90 VDC to produce the anode voltage of the receiver. It was possible to adjust the heating voltage of the tubes to 10 VDC by means of variable resistors. 2- stage Long Wave Transmitter for telegraphy (A1), telegraphy audio modulated (A2) and phone (A3). The tuning was made by the observer during the flight, using an ammeter in the antenna circuit. 3-stage tuned radio frequency receiver (RF stage, Audion, AF stage) with a regenerative circuit. Retractable tow antenna. 70m long steel cable with a weight of 500 grams at the end.